The Clayton State University Lakers started the game strong, with four shots taken in the first three minutes, but the Lakers could not prevail against the Nighthawk’s defense. 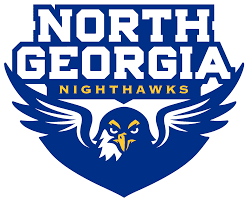 UNG senior, Alex Grant, scored the first goal of the game for the Nighthawks and UNG senior, Gabriel Garcia, followed Grant’s lead soon after, for a 2-0 lead over CSU. UNG junior, Eren Ozer, added another goal to the Nighthawk’s lead, but the Lakers managed a goal off a penalty kick rebound. After the half, Garcia scored the fourth goal for UNG, but was met with another penalty kick for CSU. UNG junior,Prince Domafriyie, made the final goal in the 89th minute of the game, assisting in UNG’s victory. « Previous Article Is It The Unravelling?